Niagara Falls, NY - Fishermen line up as Steve Galbreth, a fish culturist with the N.Y.S. 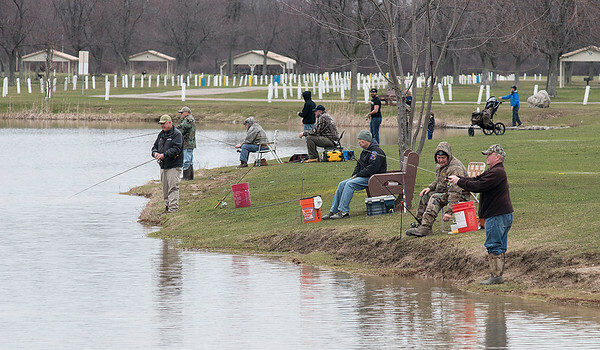 Fish Hatchery in Caledonia, NY., with help from the Niagara River Anglers Association, stocked Oppenheim Park Lake with 200 yearling Rainbow Trout and 100 2 year old Brown Trout. They also stocked Hyde Park Lake and Gill Creek.